Halotestin is a synthetic derivative of Testosterone, but it is in particular actually a derivative of Methyltestosterone (Testosterone that has been Methylated). It is generally regarded as a very strong oral anabolic steroid that is unable to aromatize into Estrogen and also exhibits very strong androgenic strength as well. Halotestin in particular possesses an anabolic strength rating of 1900 and an androgenic strength rating of 850. When this is compared with its parent hormone Testosterone, any individual can easily see how immensely powerful Halotestin is both in regards to its anabolic muscle building capabilities as well as its androgenic capabilities as well. Comparatively, Testosterone’s anabolic and androgenic strength ratings are 100 respectively, which easily demonstrates the fact that Halotestin is an incredibly colossal 19 times stronger than Testosterone itself, and its androgenic strength is a lesser but equally formidable 8.5 times the strength of Testosterone. This makes Halo an extremely potent anabolic as well as a very strong androgen – stronger than Trenbolone, which is considered the strongest conventionally and commercially available anabolic steroid available. 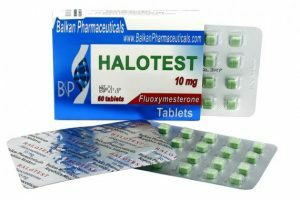 Halotestin’s very first details were published and released in 1956 as Fluoxymesterone when shortly afterwards the compound was studied and assessed in laboratories to have been found to possess almost 20 times the anabolic strength of Methyltestosterone. However, it has been found that its anabolic strength in humans is not as strong as the numbers theoretically indicate, where it was found that in humans, Halo was found to be up to 5 times the anabolic and androgenic strength of Methyltestosterone (note that Methyltestosterone is used as the reference base here and not Testosterone itself, and it must be understood that Methyltestosterone is slightly stronger than Testosterone itself). After its release of information and details, it was marketed by Upjohn in the American prescription drug market under the trade name Halotestin, and shortly following afterwards, Ciba then created and released their own Halotestin product under the name Ultandren. Halotestin under the prescription descriptions was referred to as a halogenated analogue of Methyltestosterone. Halogenation refers to a specific chemical modification/process in organic chemistry that will be explained shortly. The very first medical prescription guidelines and treatment for medical indications were for the maintenance and gaining of lean mass and tissue repair following various conditions of trauma (burns, bone fractures, malnutrition, muscle-wasting diseases, treatment of paraplegics, and as an adjunct to chronic administration of corticosteroids). Halotestin was medically utilized in both male and female sexes, where in males its use was indicated for the treatment of insufficient androgen production (hypogonadism or andropause). In females, Halo would be approved for use in treating chronic dysfunctional uterine bleeding as well as female breast cancer. As was common with all anabolic steroids, Halotestin’s list of approved treatments for various medical conditions in the mid-1970s and 1980s were limited and restricted by the FDA due to the increasing control granted to the FDA over the prescription drug markets. Halotestin’s approved list of treatments was then dwindled down for use in the following: treatment for androgen deficiency in men, breast cancer treatment in females, and to a lesser extent, for the treatment for osteoporosis in post-menopausal women. 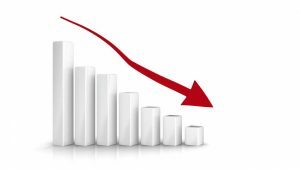 Furthermore, the lists of approved medical uses for Halotestin today have been further reduced, leaving only the treatment of male androgen deficiency and female breast cancer treatment. The issue with Halo is that of its high degree of hepatotoxicity, and through this, its high potential for altering cholesterol profiles negatively. It is for these reasons that physicians and medical professionals have elected to avoid the use of Halotestin for any treatment except for that of male androgen deficiency. Even Halotestin’s use for andropause or hypogonadism has become limited in the face of simple TRT (Testosterone Replacement Therapy), whereby simple Testosterone administration is not liver toxic in comparison to Halotestin. Halotestin today still remains available on the prescription market in the United States, still sold by the original manufacturer (Upjohn), but now under the new company name Pharmacia and only in very small and very limited quantities. As previously touched upon, Halotestin is a Testosterone derivative whereby it has undergone several modifications. Halo possesses an added methyl group on the 17th carbon (known as carbon 17-alpha). It is also halogenated at carbon 9-alpha. Halogenation refers to the reaction of an organic compound (in this case, Testosterone) with a halogen, usually resulting in said halogen becoming bound to the compound. A halogen refers to a specific category of 5 related elements on the periodic table (Fluorine, Chlorine, Bromine, Iodine, and Astatine). In Halotestin’s case, this is essentially Testosterone that has been halogenated with Fluorine (as a fluoro group) whereby the Fluorine atom has been bound to carbon 9-alpha. The final modification that Halotestin possesses is its addition of a hydroxyl group (an oxygen atom bound to a hydrogen atom) at carbon 11-beta on the Testosterone molecule. The addition of the methyl group at carbon 17-alpha is what grants the hormone with the ability to survive metabolism in the liver, and therefore allow the hormone to be ingested orally and have the majority of the hormone successfully reach the blood stream to do its job in the body. Unfortunately it is this modification that also increases the hepatotoxicity (liver toxicity) of the anabolic steroid due to the fact that this modification allows the hormone to become further resistant to hepatic metabolism, and when a substance becomes further resistant to hepatic metabolism, increased liver strain and toxicity results. The halogenation previously mentioned is what is responsible for the massive increase in androgenic and anabolic strength in comparison to Testosterone and Methyltestosterone. Finally, the addition of the hydroxyl group at carbon 11-beta is what is responsible for restricting the ability for Halotestin to interact with the aromatase enzyme, and therefore become unable to convert into Estrogen in the body. As previously mentioned, Halo is an extremely strong and potent anabolic steroid analogue, possessing an anabolic strength 19 times the strength of Testosterone, and an androgenic strength 8.5 times the strength of Testosterone. However, it has also been clarified that it has been determined to possess slightly less anabolic strength in humans in practicality. Athletes and bodybuilders should enjoy experiencing a vast increase in strength, lean muscle growth, and an increase in definition. Size increases have purported to be modest but not extreme. The methylation of the 17th carbon (also known as C17-alpha alkylation) presents the disadvantage of Halotestin causing a degree of hepatotoxicity in the body, and this has been covered. The degree to which this hepatotoxicity presents itself will be further expanded upon in the Halotestin side effects section of this article. This is a factor that must be considered and kept in mind by any potential users who which to use Halotestin. Finally, because of its inability to interact with the aromatase enzyme and thereby avoid any Estrogen conversion, no risk of any Estrogen-related side effects at any dose should be seen with Halo. This means that users can expect no water retention that would lead to the puffy, bloated, and soft look that is often undesirable, especially during periods of cutting and fat loss, and pre-contest phases for competitive bodybuilders. The attributes, nature, and statistics of Halotestin should instantly demonstrate the potential for various potential Halotestin side effects that might manifest themselves. Halotestin itself possesses two primary concerns in regards to side effects: it is regarded as a very androgenic compound, stronger in this regard than Trenbolone which is regarded as the strongest androgen conventionally available on the market, and its higher risk of hepatotoxicity. These will be explained in more detail here. Because of its chemical modifications mentioned in the introduction to this profile, Halotestin side effects do not include any measure of Estrogenic activity or Estrogen-related side effects what so ever at any dose. 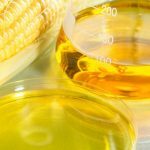 It is unable to interact with the aromatase enzyme in order to form Estrogens through the conversion process, and therefore all of the side effects normally associated with Estrogen should not present themselves from Halotestin alone. Estrogenic side effects include the following: water retention and bloating, blood pressure elevations (as a result of the water retention), increased possible fat retention/gain, and gynecomastia. It should go without saying that Halotestin is an androgen, and a very strong one at that. As a result, the incidences of potential androgenic side effects, especially in those who are sensitive to androgenic side effects, are very high. Those who are sensitive to androgenic side effects (especially the problem of androgen triggered male pattern baldness) should exercise caution and the best possible decision would be to avoid the use of such a strong androgen all together. It is in fact the goal of many bodybuilders and athletes to experience one particular androgenic side effect associated with Halotestin: the increase in competitive drive and aggression. Halotestin in particular is not only a very strong androgen in its own right, but it is also an anabolic steroid that possesses a very high affinity for interaction with the 5-alpha reductase (5AR) enzyme, which is the enzyme responsible for the conversion of androgens into (normally) much stronger androgenic metabolites (for example, the 5AR enzyme is responsible for the conversion of Testosterone into the stronger androgen Dihydrotestosterone). Studies have found Halotestin to convert into a very large amount of stronger androgens by way of the 5-alpha reductase enzyme. Therefore, it may be possible to reduce the intensity of androgenic side effects through the use of a 5-alpha reductase inhibitor, such as Finasteride, Dutasteride, or Propecia, which all serve to inhibit the 5AR enzyme and prevent reduction of androgens into their stronger androgenic metabolites. However, individuals should be aware that the use of these 5AR inhibitors may not decrease the androgenic strength of Halotestin to any noticeable decreases due to the fact that Halotestin itself is a very androgenic hormone as it is. In fact, Halotestin has demonstrated in studies to exhibit phallic (penile) growth to far greater degrees than the other associated androgenic side effects. All anabolic steroids exhibit a suppressive effect on the endogenous production of Testosterone by way of the Hypothalamic Pituitary Testicular Axis (HPTA) negative feedback loop. Halotestin side effects are no exception to this rule, as with all anabolic steroids. The exogenous administration of Halotestin will suppress and/or shut down natural endogenous Testosterone production for the duration of its use. Halotestin in particular has been demonstrated in studies to exhibit very strong suppression of natural endogenous Testosterone production following the administration of 10mg, 20mg, and 30mg of Halotestin to 9 male test subjects for a period of 12 weeks. This same study had demonstrated that there were almost no effects on the secretion of gonadotropin levels in comparison to other anabolic steroids which will commonly suppress gonadotropin release first (gonadotropins are the hormones released by the pituitary gland responsible for signaling the testes to begin production of Testosterone). This is an interesting detail that suggests Halotestin’s HPTA suppressive effect is more of a direct effect on testicular Testosterone production at the testes rather than the suppression of gonadotropin release from the pituitary gland, but this is as of yet not completely understood. Immediately following the end of any anabolic steroid cycle, it is highly advised that the user engage in a proper PCT (Post Cycle Therapy) protocol, which includes the use of Testosterone production stimulating ancillary compounds, such as Nolvadex and/or HCG (Human Chorionic Gonadotropin) for a typical PCT period of 4 – 6 weeks following the end of a cycle. Failure to do so can result in permanent damage to the HPTA (Hypothalamic Pituitary Testicular Axis) whereby the individual will insufficiently produce proper levels of Testosterone for life, ultimately requiring medical intervention in the form of TRT (Testosterone Replacement Therapy). Because Halotestin is a C17-alpha alkylated anabolic steroid it exhibits a level of hepatotoxicity on the body like all C17-alpha alkylated anabolic steroids. Halotestin in particular has demonstrated in studies involving 9 male test subjects at a dose of 20mg daily for only a 2 week period resulted in six of the nine test subjects exhibiting high levels of sulfobromopthalein (BSP) in blood tests, which is a marker of increased liver strain in blood tests. It is therefore recommended to limit Halotestin use to periods of no longer than 6 – 8 weeks. 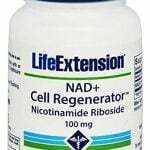 It is also highly recommended that users supplement with a proven liver support and health supplement, such as TUDCA/UDCA while using oral anabolic steroids. Negative cardiovascular risks, side effects, and cholesterol changes are a known side effect shared by all anabolic steroids, and this side effect does apply to Halotestin side effects. Negative cardiovascular side effects resultant from anabolic steroid use involves the reduction of HDL (the good cholesterol) and increases of LDL (the bad cholesterol). The result of such changes involves an increased risk of arteriosclerosis, and the degree to which these changes occur for the worse are usually dose-dependent (with higher doses increasing the negative changes and the risks). Other factors that affect these negative cholesterol changes are: duration of use, and route of administration. In terms of the route of administration, oral anabolic steroids are known for having a reputation as being much worse for their negative impacts on cholesterol in comparison to injectable anabolic steroids. This is because the liver serves to function as the cholesterol processing center for the human body, and the increased hepatotoxicity associated with anabolic steroids will result in even worse negative cholesterol changes. Halotestin is not a very popular anabolic steroid and it is not considered a conventionally available anabolic steroid, it is fairly difficult to find, although it can be found when searched in the right places. It also is very specific in terms of its uses and purposes. 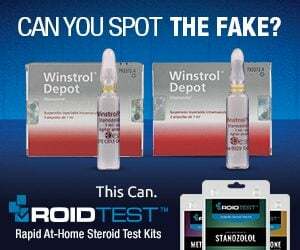 Halotestin dosages themselves are likewise very odd or very different from the doses of most anabolic steroids conventionally and commercially available. It has been mentioned previously that although Halotestin possesses a significant anabolic strength rating, it has been found that in practice, it is not as anabolic in humans as theory might have people think. However, because it exhibits considerable increases in strength without the very dramatic increases in muscle size, it is very favorable among athletes in sports in which increases in weight are unfavorable (such as wrestling, sprinting, boxing, etc.). Halotestin will exert performance enhancing benefits without the unwanted increases in weight that may slow down an athlete, such as a sprinter, who requires the least weight as possible in order to maximize speed efficiency while still receiving that benefit of performance enhancement. Prescription guidelines for Halotestin administration depend on the medical indication in question it is being utilized as a treatment for. For the treatment of male androgen deficiency (andropause or hypogonadism), the original prescription Halotestin doses are utilized in a range of 2 – 10mg daily. However, modern prescription Halotestin doses will be purported to be in the range of 5 – 20mg daily, where the majority of administration to male androgen deficient patients will usually be prescribed 20mg Halotestin dosages from the beginning of therapy, after which the dose will be adjusted according to the patient’s needs through analysis and discussion with a medical professional. Such prescription indications will call for indefinite long-term use, although administration could always be halted if cholesterol profiles or liver enzyme readings begin to reach negative levels of concern whereby the negative effects of Halotestin administration will outweigh the benefits of prescription therapy. When utilized as an adjunctive treatment for female breast cancer patients, the dose is ironically often much higher for such purposes, in the range of 10 – 40mg daily. Because Halotestin is such a powerful compound, and because it is also a compound with a fairly significant degree for the potential of hepatotoxicity, Halotestin doses for the purpose of performance and physique enhancement on average are much lower than the majority of conventionally utilized anabolic steroids. This range of Halotestin doses is therefore so narrow that it is very difficult to allot dosing guidelines for the three tiers of users (beginner, intermediate, and advanced). It is also very difficult to relegate separate dosing guidelines from the three tiers of users due to the highly specialized and specific nature of the use of this particular anabolic steroid, as it is not generally utilized in the same manner as all other conventionally utilized anabolic steroids. If separate Halotestin Doses can be provided for the three separate tiers of users, it could be properly described as follows: Beginner Halotestin users would find a satisfying Halotestin dose in the range of 10 – 20mg daily, providing some solid increases in drive, aggression, and strength. Intermediate users will find greater strength and drive increases in Halotestin doses upwards of 20 – 30mg per day. Finally, advanced users will usually hold a level of experience to the point where they can venture up to 30 – 40mg daily, although this should be done with the utmost caution. The uppermost ranges of Halotestin doses are considered on the edge of unnecessarily high and potentially dangerous doses where hepatotoxicity is concerned. The other issue here is that as previously stated, Halotestin is such a unique compound with unique purposes and characteristics that any tier of user, be it beginner, intermediate, or advanced, would be able to achieve desired strength gains and effects from even the lower ranges of 10 – 20mg daily. Once again, this is because Halotestin is often utilized for its purpose in its advantageous androgenic effects in enhancing competitive drive and aggression, as well as strength gains without the addition of large amounts of mass. Female athletes are not recommended to utilize Halotestin due to its possession of an extremely strong androgenic strength rating. As a result, Halotestin holds an even higher chance and incidence of the manifestation of virilization in female users. Therefore, Halotestin is rarely used among the female athletic population and as a result there exists almost no data even anecdotally in order to determine an appropriate female dose for the purpose of performance and physique enhancement. It is best advised that female athletes avoid the use of this compound. 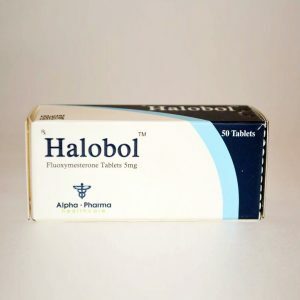 Halotestin possesses a half-life of 9.5 hours, which is fairly long for an oral anabolic steroid (especially when compared to other oral anabolic steroids, such as Dianabol with its much shorter half-life of approximately 4.5 hours). 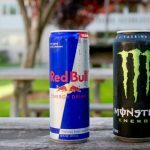 However, Halotestin’s half-life is just short enough to allow splitting up Halo doses throughout the day – however, no more than usually twice per day (although there is no harm in doing it more frequently). It is possible to use Halotestin in a single-dose manner due to the longer than average half-life as well. In general, steady blood plasma levels should be kept at all times for optimal results. 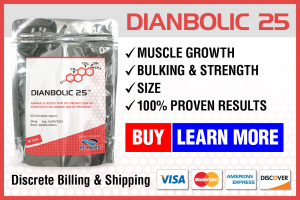 Single-dose protocols of Halotestin would not produce the same type of undesirable blood spiking effects that, for example, Dianabol would do due to its much shorter half-life. Because of the very strong androgenic nature of this compound, Halotestin belongs to a unique category and purpose of use. As mentioned earlier, it exhibits performance enhancing benefits in the form of strength increases without the dramatic increase in muscle mass (although mass increases are always to be expected). The strong androgenic nature is of perhaps either an equally or higher prioritized benefit than the strength gains sought after by athletes because of the increased determination, aggression, and drive provided by the very strong androgenic nature of the drug. The very strong androgenic strength rating is of particular benefit to the competing bodybuilder that wishes to add a very strong androgen into a pre-contest cycle stack so as to enhance the ‘hard’, ‘defined’, and ‘ripped’ look that very strong androgens provide the physique when body fat levels are at their lowest. This effect could often be compared to other very strong androgens such as Trenbolone, for example, but without the same quantity of lean mass gains. The information on Halotestin cycles and how it is to be utilized in cycles is very limited. 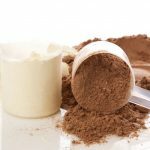 This is partially due to the relatively lesser popularity of this compound among athletes and bodybuilders, and more so due to its very limited flexibility and versatility in how it can be utilized. It has been previously mentioned that Halotestin is an anabolic steroid that provides very strong androgenic effects with less pronounced anabolic effects, thereby providing an individual with a vast increase in aggression, motivation, drive, and strength gains with a lesser impact on the addition of mass. Therefore, the manner in which it is utilized is very limited and specific. Halotestin is almost never found run as a primary anabolic compound in any Halotestin cycles for the reasons stated above. For example, it is very rare and almost completely unseen for Halotestin to be utilized at a higher dose with a low TRT (Testosterone Replacement Therapy) dose of Testosterone. This is because Halotestin cycles will normally include Halotestin for the purpose of providing an extra androgenic effect in cycles where weaker androgens are used (such as Nandrolone or Equipoise), ‘hardening’ the physique during cutting or pre-contest phases, and of course for the benefits of increased aggression and strength. This leaves very little variety in which Halotestin can be utilized. Halotestin is perhaps one of the most limited anabolic steroids in its different uses. 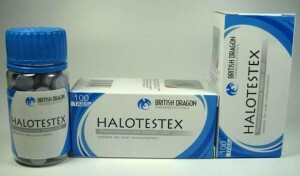 Halotestin cycles are also limited in their use by the fact that Halotestin can only be utilized for a matter of a handful of weeks (6 – 8 weeks, and often less). The mass and weight gain from Halotestin itself is moderate enough that it will actually not manifest until approximately 3 – 4 weeks into use, which in contrast with the majority of other oral anabolic steroids is quite a long time. This is another reason why Halotestin should not be regarded as a preferable mass-gaining compound. This is a very basic and simple beginner Halotestin cycle where mass gaining is the primary concern. Testosterone Enanthate is utilized at a typical beginner dose of 300 – 500mg weekly in order to provide the beginner with a satisfying amount of mass gaining, which Halotestin is utilized in order to provide the much desired exceptional increase in strength and lean muscle mass for the first 4 – 6 weeks or so of the cycle. To any reader, this cycle is obviously an example of a bulking and/or lean mass gaining cycle. These types of Halotestin cycles provide intermediate users with the ability to utilize what would be considered ‘mild’ anabolic steroids (such as Deca-Durabolin or Equipoise) with the addition of Halotestin in order to provide a very satisfying anabolic effect on the user with a lack of Estrogen in the body. This is because compounds such as Nandrolone or Equipoise aromatize into Estrogen at much lower rates than do other anabolic steroids such as Testosterone, and this is the reason why Testosterone is utilized at a TRT (Testosterone Replacement Therapy) dose. Utilizing Testosterone at TRT doses eliminates or greatly reduces the ability for the body to aromatize it into Estrogen (something that normally occurs with supraphysiological doses rather than normal physiological TRT doses). 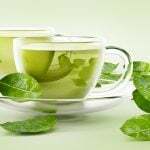 This therefore negates the need for an aromatase inhibitor, as Estrogen is kept under control without it. When Testosterone is relegated to a support role of TRT at a dose of 100mg weekly, it is present only to maintain normal and proper physiological functions governed by Testosterone in the absence of natural endogenous production of Testosterone due to the use of anabolic steroids in this cycle. This allows other anabolic steroids (in this case, Deca Durabolin and Halotestin) to serve as the primary anabolic compounds). This is the perfect example of not only an advanced Halotestin cycle, but pre-contest cycle stack with the inclusion of Halotestin in the final 6 weeks of the cycle hypothetically leading up to the contest show. This is considered an extremely androgenic cycle, perfect for individuals who wish to come out at the end of the cycle during the show with the extremely hard and defined 3D look to the physique due to the presence of two of the strongest androgens available: Trenbolone and Halotestin. Testosterone is once again utilized at a TRT dose so as to eliminate the potential for Estrogen conversion while maintaining normal function of physiological levels of Testosterone. Halotestin also provides the dramatic boost in strength during the final 6 weeks as well. Such a cycle can also easily be utilized as a mass-gaining or bulking cycle as well as a cutting cycle during fat loss phases.